Bashein & Bashein Company, L.P.A. 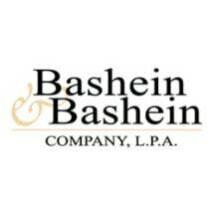 Dollar for dollar, no northeast Ohio injury lawyers extract more compensation than Cleveland's Bashein & Bashein Company, L.P.A. Over the years, our small team of attorneys has won more than $450 million for injured clients. Our firm started out in 1949, channeling injury compensation to cops and construction and factory workers. The lawyers have changed, but the approach remains the same all these years later — maximum compensation for victims of negligence. We focus on personal injuries that are serious, catastrophic and fatal. Clients are injured in car accidents or truck and motorcycle crashes; in slips-and-falls in places of business; by "helpful" products that cause great harm; and by injuries and illnesses incurred on the job. Creative Verdicts ~ Great Results! Insurance companies wince when they know they are going up against us. We are the gold standard among Ohio injury lawyers: knowledgeable, experienced, ethical and yes, aggressive when it comes to your compensation. We leave no dollar undiscovered when we calculate the total cost of your injuries over time. You have a choice: Hire the lawyers you see yelling on billboards and buses, or hire Cleveland's most successful personal injury and wrongful death firm — Bashein & Bashein Company, L.P.A. Call us at 216-539-8437. We want to hear your story.